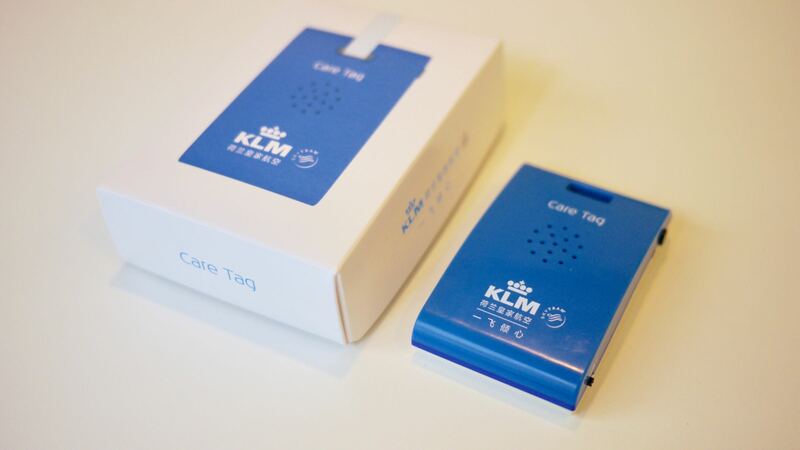 Last year I posted a story about KLM’s trial run for the airline’s Care Tag audio-equipped GPS tourist guide device. 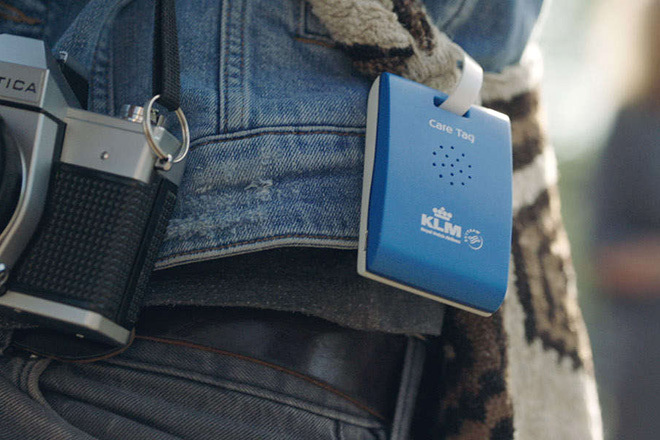 Now, the Royal Dutch Airlines has rolled-out the tiny tech travel guide for flyers who act fast. When you book a flight to Amsterdam during 2018, be sure to request one of the handy little tags. 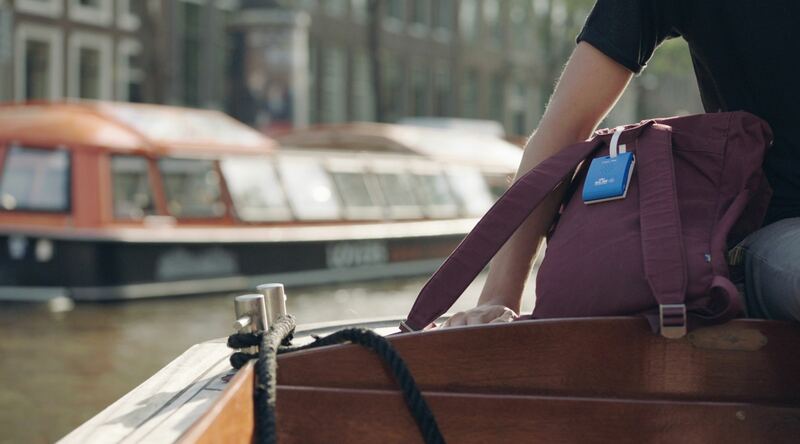 Designed to look like a typical luggage tag, the Care Tag can be attached to a bag or the user’s clothing. It contains a GPS module that works offline and a speaker that automatically provides location-based tourist information on Amsterdam. To add authenticity, KLM had actual flight crew members record the audio tour information. 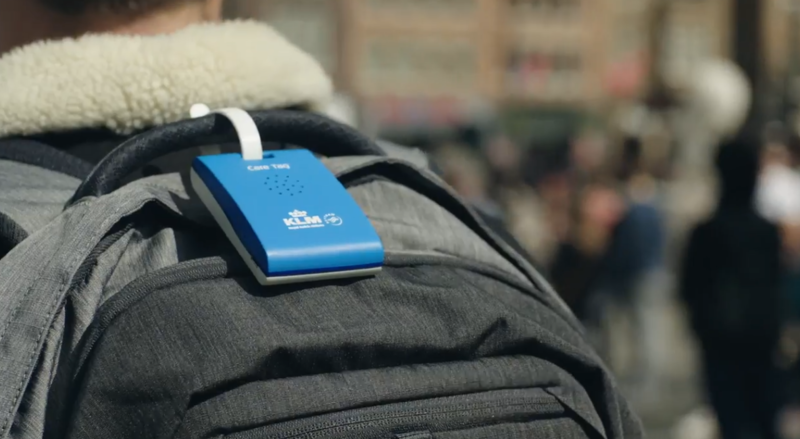 The device can be used while walking or riding a bike, and works without an internet connection. Along with helpful sightseeing tidbits, the tag also gives useful tips on biking, safety, and public transportation. It also encourages visitors to spend time in less touristy areas of Amsterdam away from the inner-city neighborhoods. The neat device is now available in English, German, Russian, Portuguese, and Chinese. For more information, check the dedicated website. This entry was posted in Air Travel, Europe, Public Transport, Tech, Tourism and tagged airlines, Amsterdam, GPS, KLM. Bookmark the permalink.